Opera lover? Fan of Pavarotti’s high notes? Or perhaps Maria Callas’ high notes and dramatic interpretation? Then Qawwali is the art form to explore in 2019. 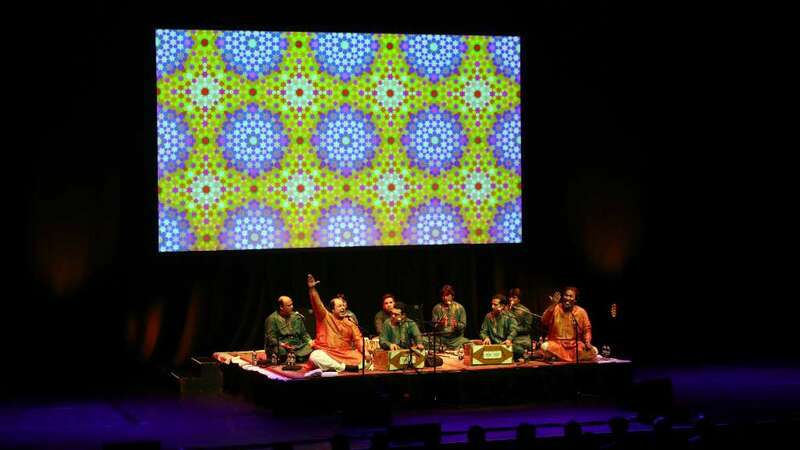 With roots deep in 13th century India, breathtaking vocal versatility and emotive tone, Qawwali carries centuries deep tradition. Traditionally performed in Sufi shrines, the lyrics of Qawwali carry strong tones of love and devotion. Often, there is ambiguity on whether the Beloved is of human or divine origins. Opera holds its origins in 17th century Italy and interestingly, the themes were based on mythological stories. The first opera to be performed was Orfeo by Monteverdi in Italy 1607. Three hundred years later, the opera was performed in London at Scala Theatre. Act 1 of Orfeo, above. Often parallels were drawn in opera between the mythical heroes and present day rulers – similar to the ambiguous divine tone of Qawwali lyrics. A versatile vocal range is key in opera and Qawwali. Pavarotti is certainly one of the most important figures in classical music. His vocal range is dizzying! A key figure putting Qawwali on the world music map is Nusrat Fateh Ali Khan. Possessing a 6 octave range, he could perform at high levels of intensity for several hours. Watch Nusrat performing Qawwali classic, Akhiyan Udeek Diya (My eyes eagerly wait for you). Alike to western classical music, a Qawwali singer learns how to use their voice from an early age and the musical training takes years of dedicated hard work. Trained from a young age, Nusrat was born into a family of singers and musicians, hailing from Afghanistan and migrating to India in the 11th century. Some in the west may feel that the classical element in music is becoming lost and ignored by contemporary generations. Nusrat Fateh Ali Khan certainly felt concern. He remarked to the Herald: “To my understanding, people run away from the name of classical songs.” Nusrat Fateh Ali Khan was a strong advocate and believed in “the revival of pure classical singing” (Herald). He received training in classical singing himself and his belief in classical music has ensured that Qawwali, an ancient art form, will not be lost in time. Dramatic performances are an important part of opera. Maria Callas is a name in the opera world which epitomises dramatic interpretation and many critics praised her for dramatic performances. The name La Divina was hailed upon her partly due to her gift for dramatic interpretation. And dramatic performances are present in Qawwali too. With lyrics in poetic Urdu, Farsi or Punjabi, one need not understand linguistically as it’s the heart strings they tug at. Qawwali performances are hypnotic and moving. The rhythmic clapping and pulsing music builds to a mesmerising crescendo, with vocal repetition and vocal intensity often inducing a state of ecstasy amongst performers and audiences alike. Brothers Rizwan and Muazzam are nephews of Nusrat Fateh Ali Khan and were tutored by him before his passing in 1997. Having been trained up in the tradition, Rizwan and Muazzam are torchbearers of this ancient classical art form, and have dedicated their lives to studying, performing and sharing Qawwali music with the world. Lead singer Muazzam Ali Khan’s vocal range and dexterity is also astounding – and he has certainly inherited the family’s incredible vocal talent. Don’t miss the chance to hear Qawwali performed by Rizwan-Muazzam. We hope to see you at one of their concerts in March!